A huge collection of over 100 scenes from the Adirondack Park of New York State, compiled into a screensaver for you to enjoy. This is a digital-only product - upon purchase, you will be sent a link to where you can download this screensaver, in the form of a virus-free executable self-installing file that you first download, then open on your computer in order to install the screensaver. 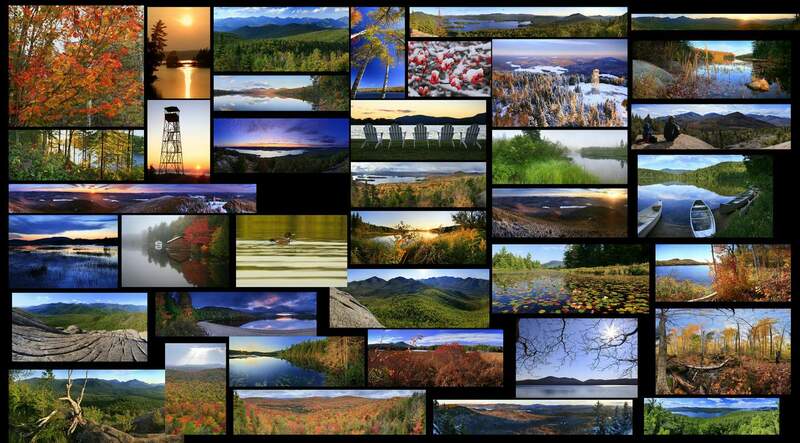 This screensaver, a collection of my best Adirondack photography, is approx. 35 MB in size, due to the extremely high 1920 pixel resolution of the photos. Please note: this website isn't set up to automatically email you the link to the page where you can download the screensaver file - I must manually email you the information, which can take up to a few days if I am traveling and photographing internationally. Also note, this screensaver is only compatible with Windows-based computers.